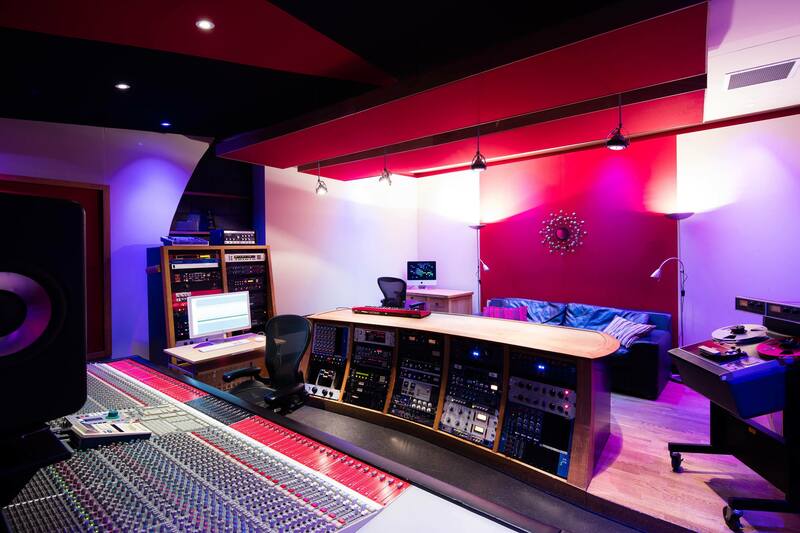 After keeping our lips sealed for a while now, we are so excited to introduce our new mix studio, The Red Room London. In collaboration with Swiss mix engineer Philippe Weiss, the room is housed in the Orinoco complex in SE1 near Tower Bridge, which is also home to writing studios The Bridge and The Bunker, our large tracking studio The Pool, and Miloco HQ! This studio is an audiophile’s dream and everything has gone into making this arguably one of the best mix rooms in London. 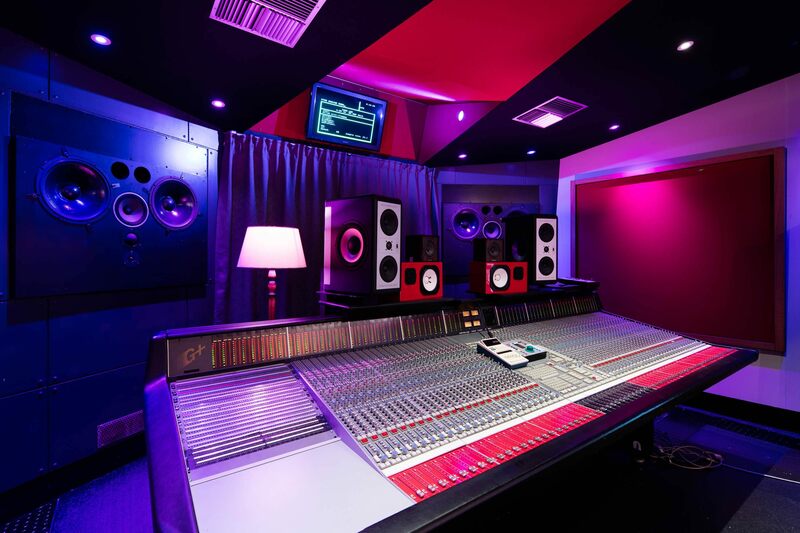 For all you techy types, get a load of this: the console is a 56 Channel SSL G+ Console with ultimation and total recall, which comes loaded with 24 E-Series EQs and 32 G-Series EQs. Monitoring is controlled by a Cranesong Avocet and there is a choice of Barefoot MicroMain 27’s, Adam S3A’s, Dynaudio BM15’s, Genelec 1031’s, Yamaha NS10’s and trusty Auratones. The big monitors are customised Munro M4’s tuned by acoustician Nick Whitaker. 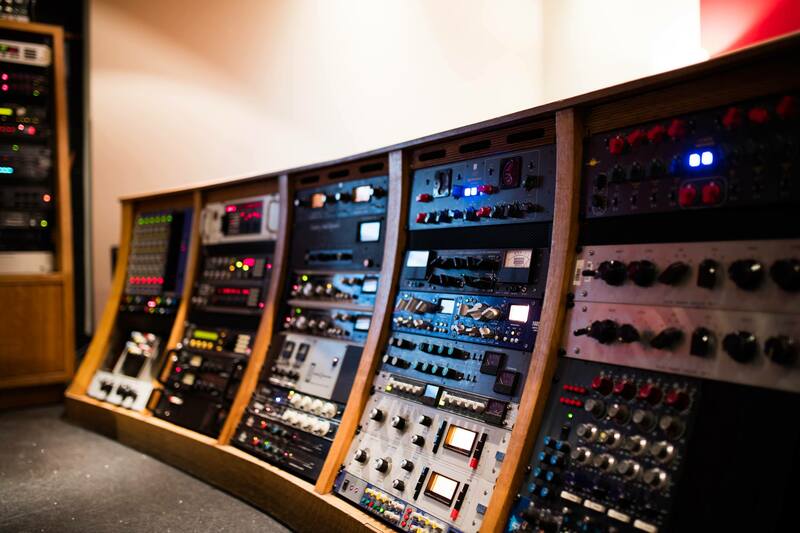 The outboard has been carefully selected by Philippe and provides engineers with a great selection of hardware tools all connected via magami cabling. You’ll find many of the usual suspects here, from brands such as EMI Chandler, Urei, DBX, Focusrite, Neve, AMS, Manley, Pultec, GML and much sought after gear from the likes of EAR, EMT, AKG, Manley, Neumann and Langevin amongst others. The DAW is an Avid HDX rig with 48 outputs running Pro Tools 11 and a full complement of plug-ins with a UAD-2 card. Outputs are provided by Avid HD I/O’s or Apogee DA-16X convertors. And if that’s not enough to impress you, over the years this space has provided three UK #1 albums: Lana Del Ray’s ‘Born To Die’, Keane’s ‘Strangeland’ and Plan B’s ‘The Defamation of Strickland Banks.’ Other albums to have been mixed here over the room’s history include Oasis’ ‘What’s The Morning Glory’ and ‘Be Here Now’, most of the Chemical Brothers albums, plus other successful albums by Wild Beasts, Foals, Villagers and Everything Everything. Check out the links below for more info and get in touch with our booking team if you want to take it for a spin!